Retailers are now selling a rapidly growing number of connected devices — from refrigerators to smoke detectors to home security devices to robotic vacuum cleaners, and a lot more. 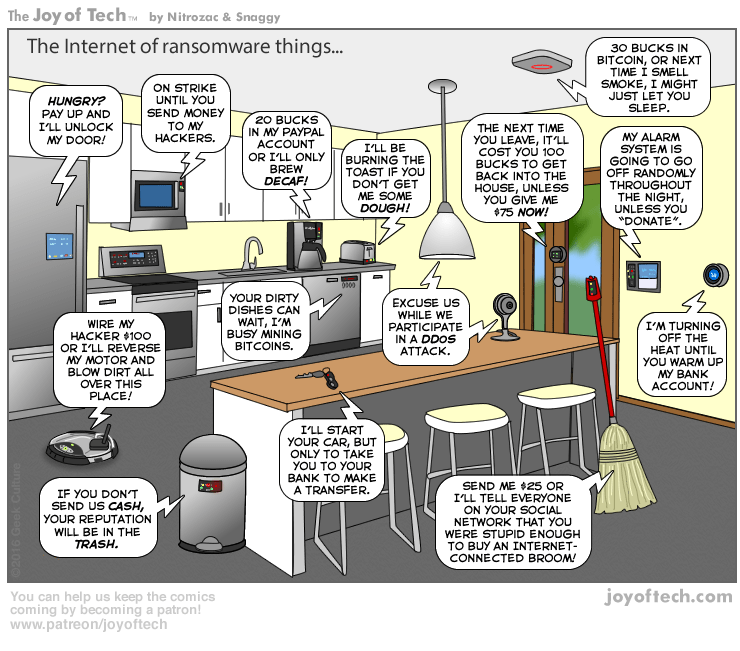 This entry was posted in Part 3: Targeting Customers and Gathering Information, Part 6: Merchandise Management and Pricing, Part 7: Communicating with the Customer, Privacy and Identity Theft Issues and tagged cartoon, identity theft, Internet of Things, Joy of Tech, privacy, ransomware, Ransomware: Defending Against Digital Extortion, Ransomware: The Smart Person’s Guide, threat. Bookmark the permalink.